Show season in Zimbabwe has come to an end with premier exhibition space availed for the best corporations, start-ups, entrepreneurs, non- governmental organizations and government parastatals to put on display to thousands of visitors new innovations, brands, products and to raise awareness for a variety of causes. Hundreds of international exhibitors and investors also attend the country’s exhibition parks in search of new markets, partnerships and opportunities. At this years’ Manicaland Agricultural Show held at the Mutare Showgrounds from the 22nd to the 26th of August 2018 under the theme, “Economic growth through collaborative efforts”, Africa University won The best display for Non- Profit Making Organizations. 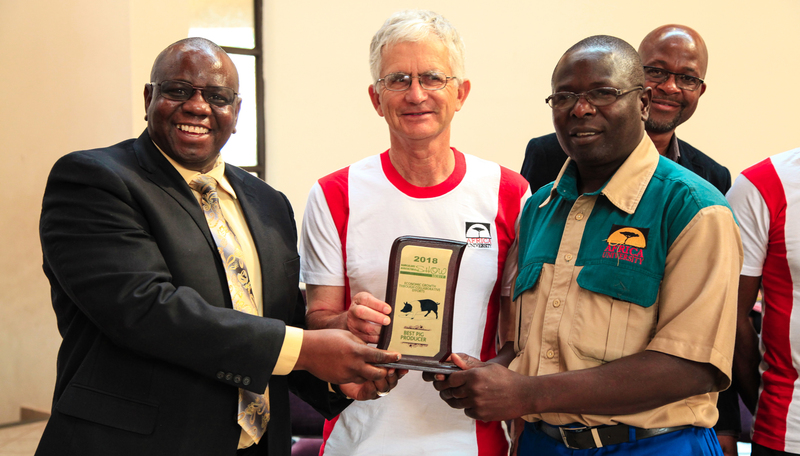 The Africa University Farm that boasts a variety of organic, responsibly farmed and fresh produce was duly recognized winning in three categories these being, Best Pig Producer, Best Poultry Producer and Best Rabbit Producer. The university had exhibitions from the College of Health, Agriculture and Natural Resources, the College of Business, Peace, Leadership and Governance, Academic Affairs, the Jokomo Yamada Library, Information Communication Technology Department and the Information and Public Affairs Office. Zimbabwe’s trade fair season begins with the Zimbabwe International Trade Fair held in the country’s second largest city Bulawayo that took place this year from the 24th to the 28th of April 2018 followed by regional fairs such as the Manicaland Agricultural Show ,22-26 August 2018, with the season ending with the Harare Agricultural Show that was held from the 27th to the 1st of September 2018.